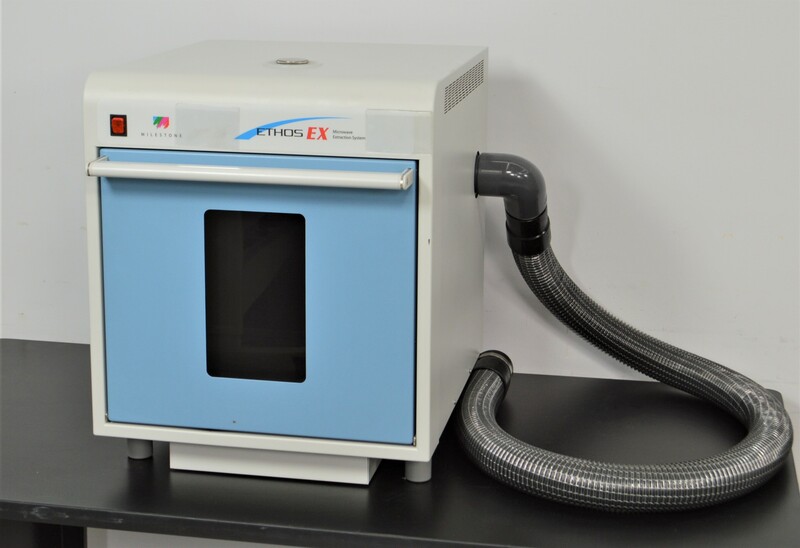 Milestone Ethos EX Microwave Extraction System Digestion Oven Sample Preparation . New Life Scientific, Inc. This Milestone Ethos EX is in great cosmetic condition and shows minimal signs of use. The corrosion-resistant stainless steel cabinet and door are in excellent physical condition with only a couple minor blemishes to the paint. This microwave is equipped with an industrial magnetron, delivering 1,200 watts of power, able to reach higher temperatures more rapidly. This system would be an excellent choice for anyone looking for a well-maintained microwave extraction system at a fair price. Our in-house technician visually inspected and initialized the Milestone Ethos EX, confirming the microwave to pass initialization. The instrument is in great physical condition and warranted to be functional.